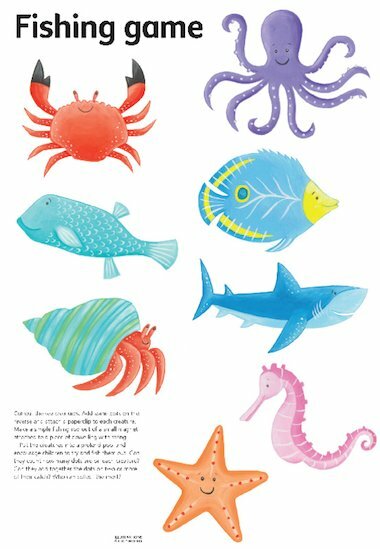 To play a simple fishing game cut out the sea creatures, add some dots on the reverse and attach a paperclip to each creature. Make a simple fishing rod out of a small magnet attached to a piece of dowelling with string and put the creatures into a pretend pool. Encourage children to try to fish them out. Invite children to add together two creatures’ dots to find the sum. There is also a black and white version of this activity sheet available on the resource bank.